FRANKLY, it's a bit disappointing. And not just because The Romanoffs is the follow-up project from Mad Men creator Matt Weiner, a man who showed a prodigious skill for making extraordinary TV with his last series. It would be a bit disappointing even if it were from someone less burdened by the weight of expectations. The much-vaunted anthology series debuted on Amazon Prime Video last Friday with two episodes, with the remaining six to be dropped on the streaming service every week. The conceit is that it's a series built around people who claim to be descendants of the Russian Romanov royal family, who were infamously slaughtered by the Bolsheviks in 1918. All eight episodes are 90-minute stand-alone chapters with seemingly nothing to tie them together other than the thread of the Romanov connection (the series uses both spellings). Except, John Slattery has already briefly turned up in episode two as a Romanov expert giving a lecture on board a cruise liner and he is also credited in another episode. And the last episode of the series is tantalising titled, "The One That Holds Everything". So there may be a through-line that's not yet apparent in the three episodes made available for review. The first episode was largely in French with English subtitles, a bold choice for an American TV show. The first episode, "The Violet Hour", is set in Paris and concerns an old woman named Anastasia (Marthe Keller) who claims to be a Romanoff. She's rude, demanding and generally insufferable. But she's suffered by her American nephew Greg (Aaron Eckhart) because she owns an enormous, labyrinthine apartment in Paris and a Faberge egg, which was apparently smuggled out of Russia during the revolution, and he is her only heir. When hijab-wearing Hajar (Ines Melab), the umpteenth caretaker, arrives to assist Anastasia, the old woman tells her to go away and "take your bombs". Among her many racist taunts is when she goads Hajar about the crescent shape of croissants as a symbol of Christendom's past military successes over Islam. In return, Hajar is patient towards Anastasia, despite the barrage of insults. It's not hard to see where this story goes. They find a connection because they're both outsiders. But the deeper story about immigrants, isolation and acceptance is glossed over with a bizarre fairytale ending. In the second episode, in middle America, Michael Romanoff (Corey Stoll) and his wife Shelley (Kerry Bishe) are stuck in a rut and already in marriage counselling. He never wants to do anything and is clearly resentful of his wife's financial position. When he attends jury duty, he's enchanted by a fellow juror Michelle (Janet Montgomery) who has a penchant for true crime. He manipulates the situation so that the group continues to deliberate an open-and-shut case and Shelley leaves town solo for a cruise they were both booked on. It leaves him free to pursue an affair. The cruise is a meeting of the Romanov Association, a society of mostly older folk who desperately clutch onto their tenuous link to an anachronistic hierarchy and world they feel entitled to but were robbed of - it's a toxic privilege but one, much like the immigrant story in the first episode, that Weiner only scratches at the surface of. There are lectures and grand balls and a grotesque re-enactment of the Romanov massacre staged by actors with dwarfism. In both episodes, while the performances are all excellent, especially from Melab, Keller and Bishe, the characters don't feel as developed as they should be when they're as long as a movie. And the endings, especially in the first episode, feels very rushed and narratively unjustified. 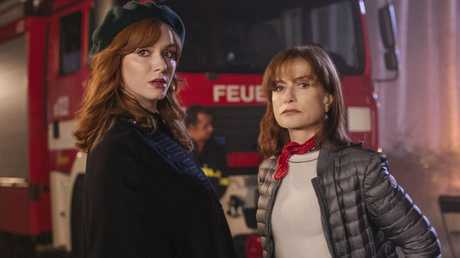 The third episode, "House Of Special Purpose", stars Christina Hendricks as Olivia, an actor playing the late Alexandra Romanov, the murdered last Empress of Russia, in a miniseries shooting in Austria, and Isabelle Huppert as Jacqueline, the difficult and unhinged director. It's tempting to read Jacqueline's intimidating techniques as a director as a rebuttal or commentary on Weiner's own #metoo moment, for which he was accused of sexual harassment and for being an "emotional terrorist" during Mad Men, but The Romanoffs' production was largely done by the time the allegations came out. It has supernatural tones and recalls Roman Polanski's Repulsion or George Cukor's Gaslight. It's a much more consistent and compelling episode, one that, hopefully, hints at stronger chapters in The Romanoff's second half. Mad Men was renowned for its deep characterisation and how those characters fit into the changing social milieu of the 1960s, a period of rapid change. It was smart, insightful and beautiful to look at. 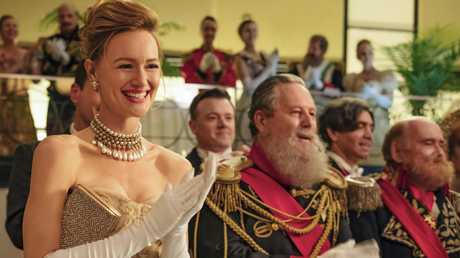 So far, The Romanoffs is beautiful to look, with the rest of the qualities that made Mad Men so great remaining elusive. It's a sumptuous production with scale - it filmed all over Europe, the US and Asia with its expensive budget and it's attracted incredible talent, on and off screen. Weiner also directed and wrote or co-wrote all the episodes. But will that be enough? In "House Of Special Purpose", Olivia and Jacqueline chat about being heard but having something to say. For now, The Romanoffs doesn't have much to say. Let's hope that in time it will. The Romanoffs is streaming now on Amazon Prime Video.